These Cairo day tours are all great ways to experience the sights and wonders of Egypt. From a Cairo pyramids tour to fishing on the Red Sea, here's 5 day trips from Cairo to choose from. The amazing city of Cairo is an excellent place to visit by itself. There’s a lot of things to see and do, of course, but its surroundings are even better. 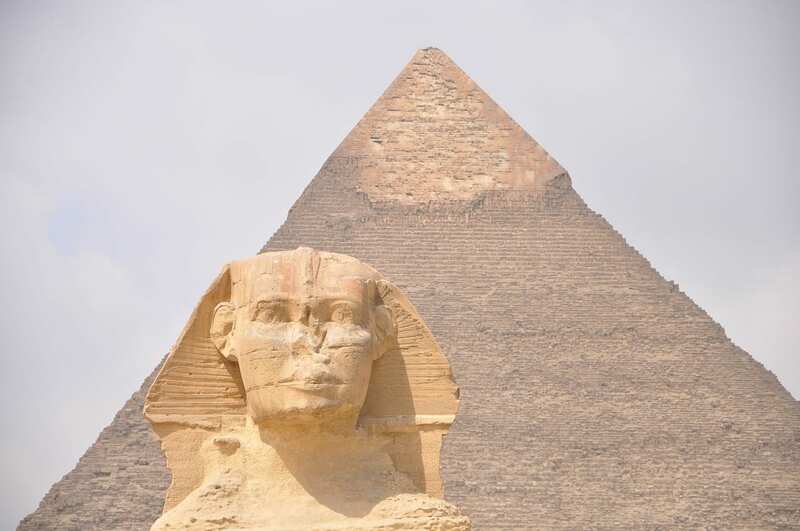 There are plenty of interesting places to visit on a day trip from Cairo, such as the famous pyramids, the city of Alexandria, and camel treks in the desert. Here's 5 of the best Cairo day tours you can take, but there are plenty more. Make sure to check out these Egypt tour packages to find which other ones are most tailored to your tastes. Ancient Egypt was one of the most fascinating ancient cultures in the world. In many ways, it was extremely advanced for its time, and the temples, monuments, and pyramids and all legacies of their civilisation. The most famous reminders of the glories of the past, are the pyramids of Giza. One of the original 7 wonders of the world, they’re steeped in mystery and history, and they’re one of the most popular attractions in the world. The Great Pyramid of Giza is the centrepiece, and is both the largest and oldest of the pyramids on the Giza plateau. It's quite a remarkable sight to behold, and certainly a memorable experience! 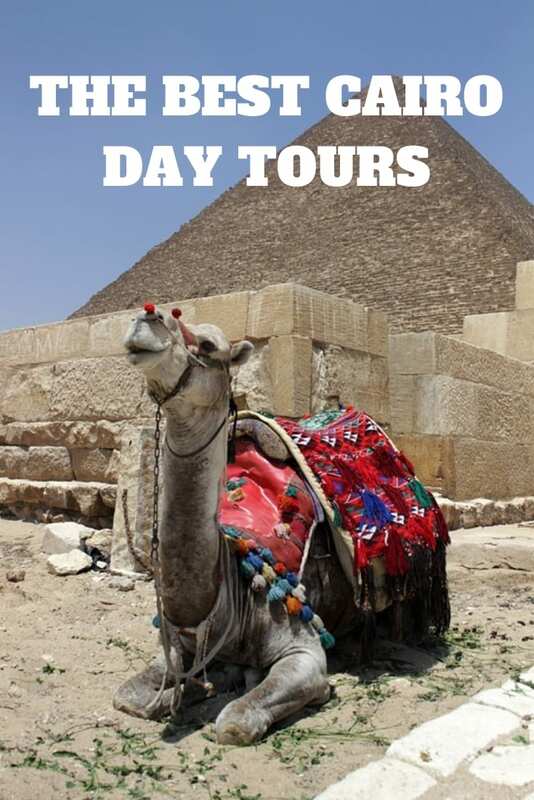 The Giza pyramids are not the only ones that can be visited on day tours from Cairo. You can also combine this with the Saqqara and Memphis pyramid complexes. The Saqqara Necropolis is located very close to the pyramids, on the ancient site of the city of Memphis, the ancient capital of Egypt. It’s a royal necropolis close to the city that still has a few mysteries that need to be unearthed. Dashur is a very similar case, in that it was another burial grounds, but the pyramids there are among the oldest in the world. All in all, it’s a thrilling experience, and you’ll explore some of the world’s oldest locations. 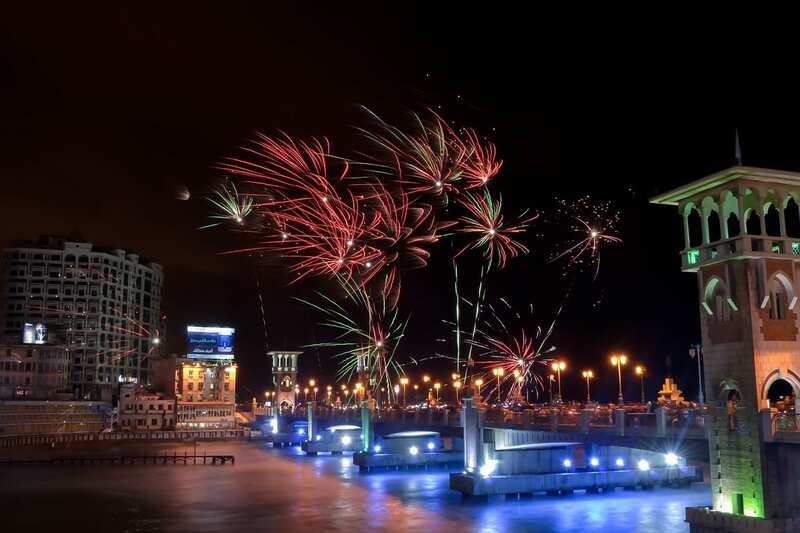 Originally another ancient city, Alexandria is the second largest city in Egypt, and one of the most visited ones. Built in honour of Alexander the Great, it’s a destination where history is woven into its streets. With many great landmarks such as Pompey’s Pillar, Citadel of Qaitbay, the Pharaonic Anfushi Tombs, and the famous Library of Alexandria, you won’t make a mistake visiting this city. The Library is arguably its most famous landmark, even though the original library burned down over two millennia ago in Caesar’s siege of the city. Today it’s a proud building that honours the original, and just like the previous one, it too is home to a large amount of knowledge and wisdom. The Sahara desert is the largest desert in the world, and everyone’s idea for a desert comes from its presentation. It’s not all barren and lifeless, though, as Faiyum is a living proof of it. It’s an oasis in the middle of all the sand dunes, and it’s a very tranquil spot with a good variety of activities to do. It too has a lot of ancient leftovers, as with many parts of Egypt, but the greatest magic comes from the Qarun Lake and the Wadi Al Rayan Waterfalls. Sandboarding is something every visitor should try, as it’s a wholly unique and endearing experience. While Cairo is indeed a modern city, its roots are ancient and diverse. Parts of the city are dedicated to its Coptic and Islamic roots, and a day tour is a great way to explore them. 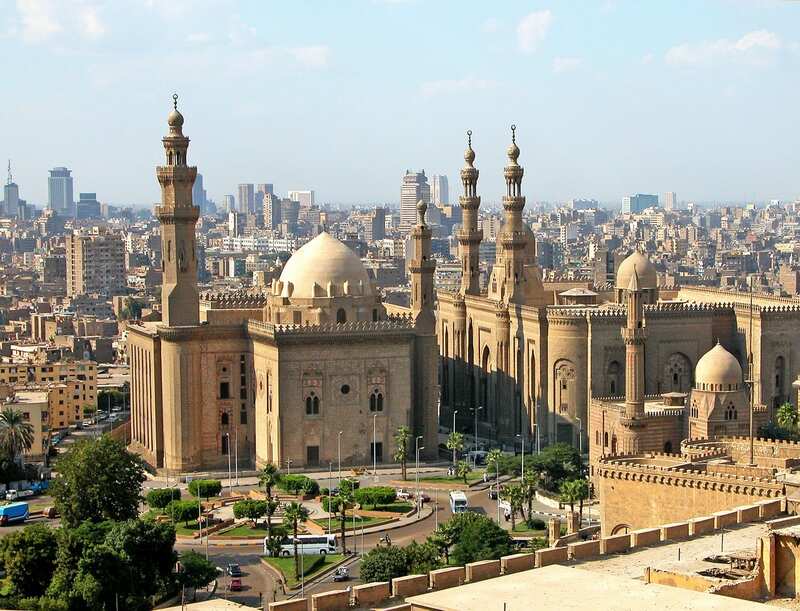 You’ll see some of the most unique architecture in Cairo, like Salah El Din Citadel and its Ali Alabaster Mosque, and an ancient Roman Citadel. Old Cairo is packed with ancient churches, fortresses, mosques, and museum, and they’re not only fascinating by themselves, but also entirely educational. The mere historical value of these sites is amazing, and seeing them in person is an experience you can’t have outside of Cairo. A common misconception is that Egypt is comprised entirely of desert and the River Nile. That’s far from the truth, however, as it has access to not only the Mediterranean but also the famous Red Sea. The same sea that Moses supposedly parted to have his people travel across, is one of the most well-known fishing spots in this parts of the world. Ain Al Sokhna is a calm and serene town with a nice little harbour, and here you can find great tours that will take you out in open waters. Fishing here is a unique, and calming, experience, and it almost feels like you’re in another world.